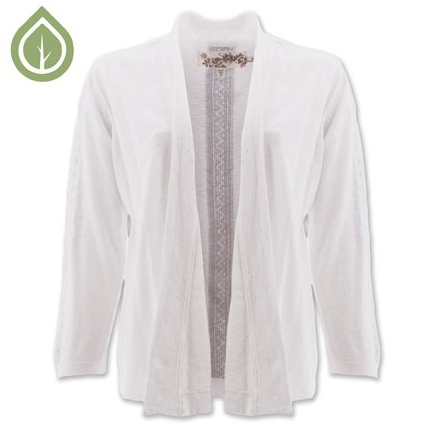 The Jess boasts 100% organic cotton in a jacquard jersey. 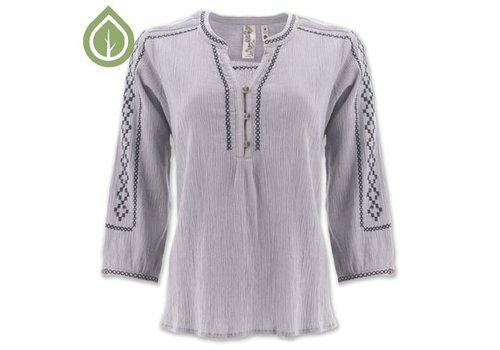 It has a nothched neckline and a feminine sclloped hemline & sleeves with a embroidery detail at the neckline! 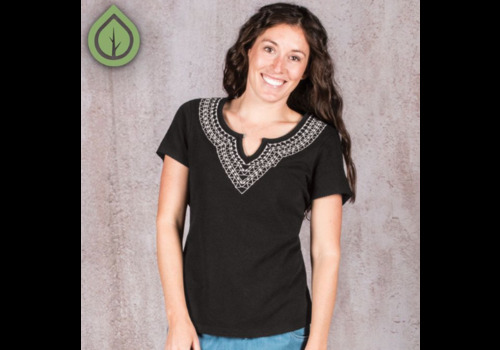 You'll love the casual t-shirt style of the Kasey Tunic. 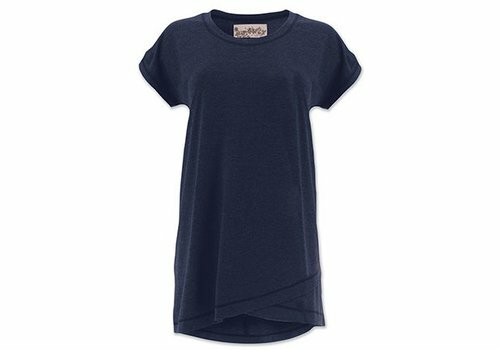 Soft with just a touch of stretch, this tunic features a relaxed fit, a tulip hemline, center-back seam and easy dolman sleeves. 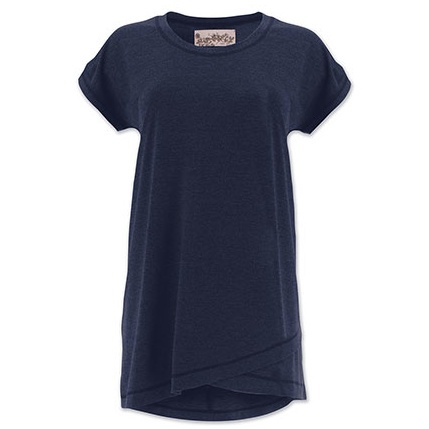 This basic top gets a twist - literally! 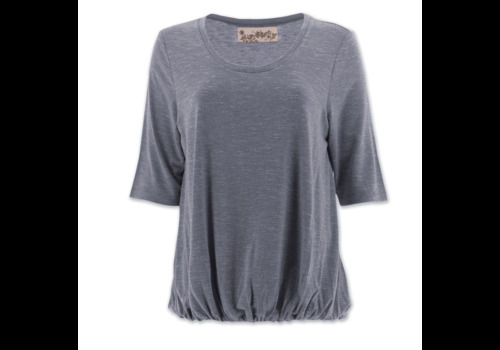 The Westyn Elbow Sleeve Top is super soft and features a front twist hemline that adds extra interest to this easy to layer, easy to accessorize top. 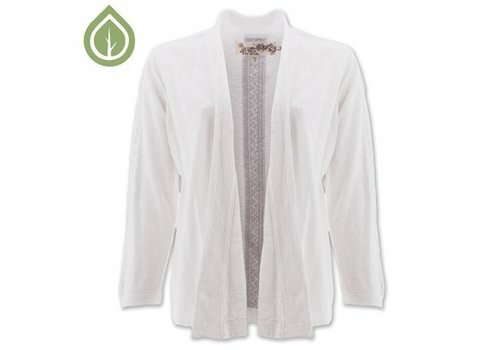 A fresh take on the best-selling Arden collection is here! 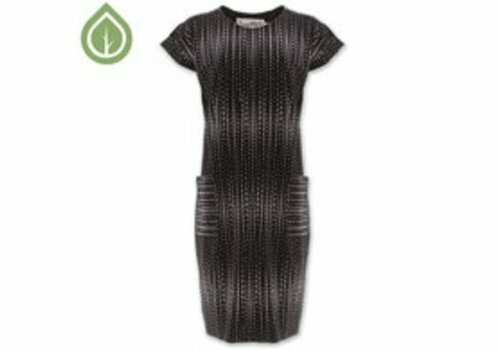 The eco-friendly Arden V2 Slimmer features a slightly narrower leg than the rest of the Arden collection, tonal stitching throughout and just a touch of Lycra® to stretch and move with you. 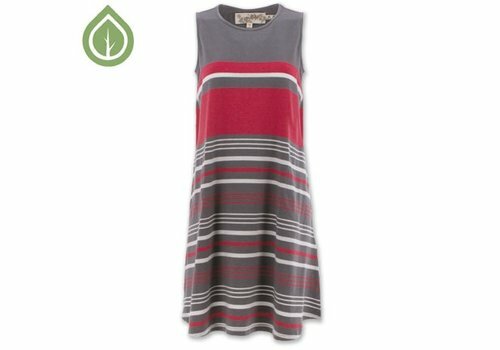 Sutton is a real stunner with its shift silhouette, hip pockets and rool up cap sleeves. 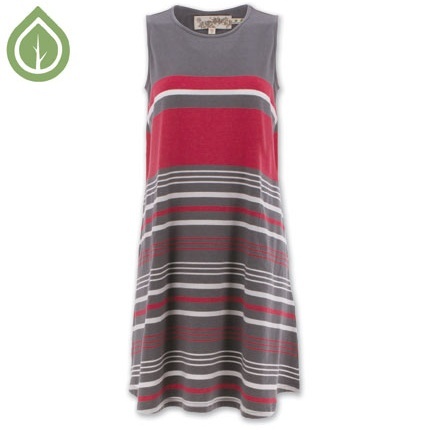 95% organic cotton, 5% spandex jersey. 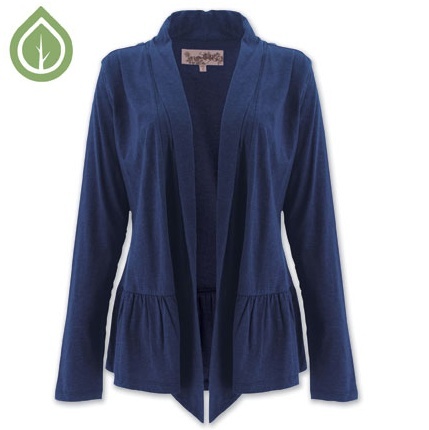 Its a Fair Trade Certified Factory product as well. 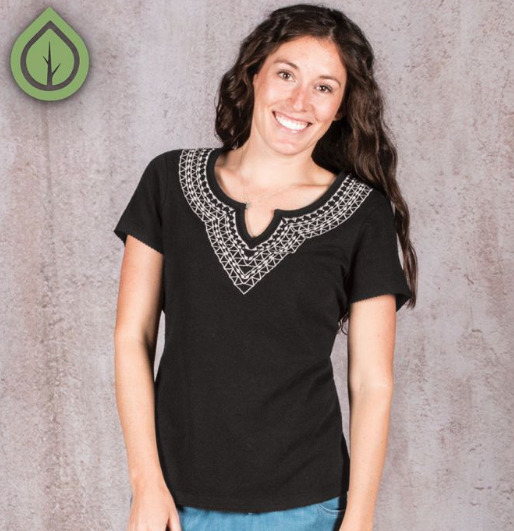 Boho vibes abound in the sustainable Hartley Peasant Top. 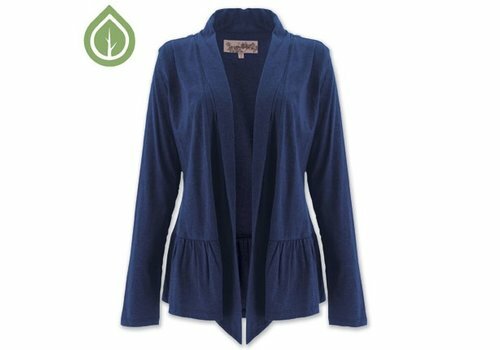 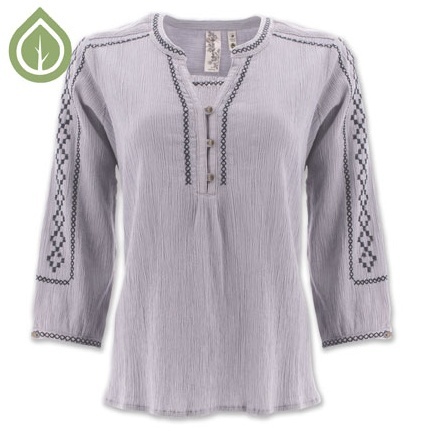 This relaxed-fit top features a 3/4 length sleeve, a functional 3-button placket and pretty embroidery details at the collar, front placket and sleeves. 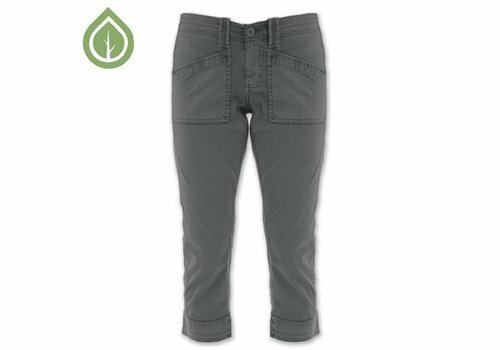 Pocket lovers rejoice! The Rowan Dress delivers an adorable summer style with pockets you'll love and a unique keyhole back detail. 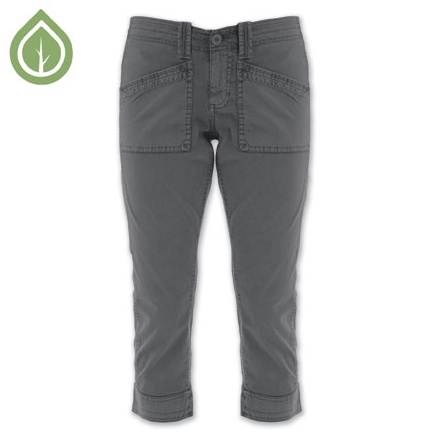 Princess seams ensure the most flattering fit in this casual style. 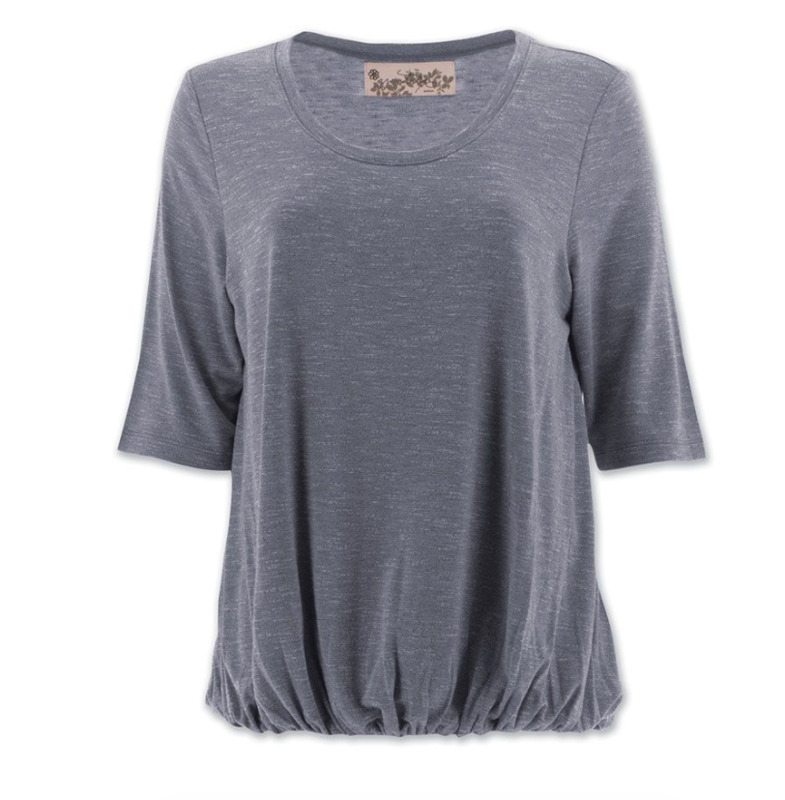 This will be your go-to summer wrap with its peplum bottom! 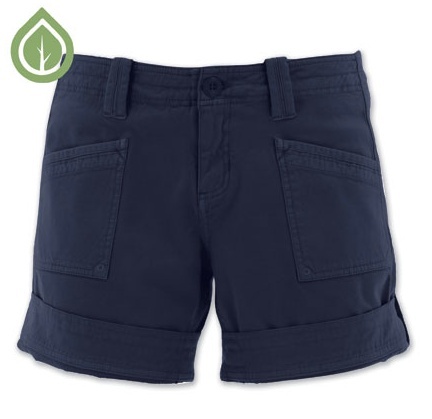 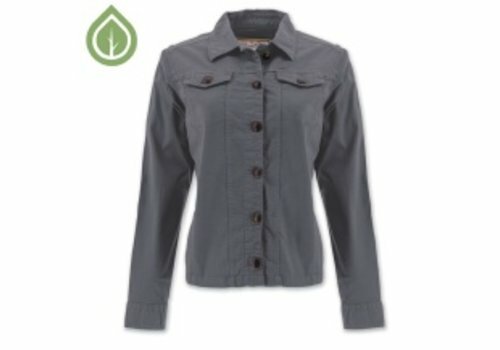 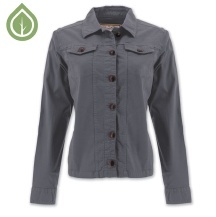 It is 60%organic cotton, 40% poly jersey and a Fair Trade Certified Factory Product. 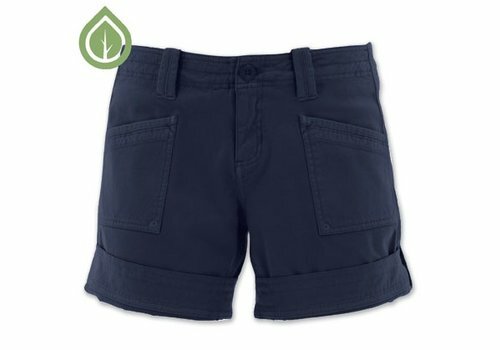 The organic cotton / Lycra® blend of the Tara Short makes it the perfect piece for spring outings. 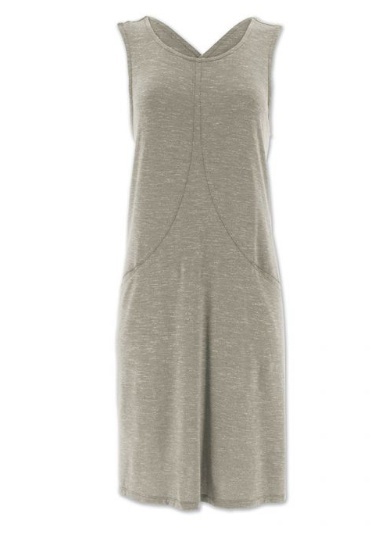 Tonal stitching throughout and the roll-up feature at the bottom add some fun touches to this basic bottom.